What is the ELM327 USB Car Scanner? Home / OBD Diagnostics / What is the ELM327 USB Car Scanner? The ELM327 USB car scanner is a high end car diagnostics tool. This OBD2/OBDII reader and scanner is designed to be more reliable and comprehensive than the huge number of similar but inferior products currently available on online marketplaces like eBay, Alibaba, AliExpress and other websites. The ELM USB car scanner is an important device which is compatible with almost every type of car. It’s quick to use, safe and will carry out all the diagnostics you will ever need. Many similar products are available online. These cheaper, inferior products sell for under $15 on websites like eBay. However, 99% of these cheaper scanning devices only support half the data that high end products like the ELM327 USB car scanner is able to support. The clones available on eBay and similar websites incorrectly display or don’t display data related to EVAP, O2 and HO2 and B1S1 Lambda data parameters. This can have serious consequences for car owners. The ELM327 USB car scanner operates perfectly on 99% of modern cars. A user simply plugs the device into the car being scanned and a laptop. This allows the car and the laptop to communicate with each other using OBD software like TOAD (Total OBD and ECU Auto Diagnostics). Using this advanced diagnostics tool lets you detect a wide range of problems in a car. It also resets any faults it finds and is able to access a wide range of performance statistics. Every piece of information you need to find about the inside of your car can be accessed through this high quality device. 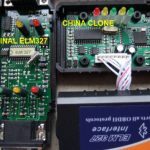 Some garages, repair shops and car dealers spend thousands of dollars on products that carry out the same functions as the ELM327 USB car scanner. It gives you the power to carry out the same health checks, advanced diagnostics and other fault finding functions which previously could only be achieved using more expensive systems used by businesses in the motor industry. Many cheaper, inferior alternatives are only able to detect problems with generic OBD2 systems but the ELM327 USB car scanner is able to detect problems with manufacturers systems and supports engine and transmission. Used with OBD software applications, this device can read as many as 15000 data parameters in a car, which is far beyond the capabilities of handheld scan tools. When you purchase any device or accessory for your car you have to be certain it’s compatible with the make and model of the car. In the case of this scanning device, it will only operate properly on OBD2 compatible vehicles. Most modern cars are compatible. The OBDII protocols supported by this product include J1850 PWM (Ford vehicles), J1850 VPW (GM vehicles), ISO9141-2 (Asian, European, Chrysler vehicles), ISO14230-4 (Keyword Protocol 2000) and ISO15765-4 (CAN). 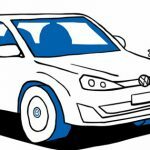 In most cases you can find out if your car is compatible by looking at the ‘Vehicle Emission Control Information’ sticker which is normally found under the hood of your car. If your car is OBD2/OBD-II compliant it will say your car is ‘OBD II Certified’ on this sticker. This scanning device includes many advanced features that set it apart from similar, cheaper products that don’t always do what they promise. The ELM327 USB scanner is faster than other scanners. This includes faster screen updates. It’s an extremely small device, measuring approximately 8cm. This means it doesn’t take up too much space when it’s in your car. The device is one of the most secure car tools available thanks to its Man-in-the Middle (MITM) security and 128-bit military grade encryption. With this amount of security, it’s almost impossible for hackers to gain access to the system. Many people want to have more control when it comes to diagnosing car problems. With this scanner you can monitor and check codes when the check engine light appears. The data returned after these checks gives you a better understanding about what repairs are required if a problem is detected and can save you money when these repairs are carried out. There’s no need for any specialized equipment. The only hardware you need is this device and your laptop. Scanning can be completed on laptops which run on Windows or Mac operating systems. This means it can be used by a wider range of people. This was not always the case in the past when this type of application was only available to garages, repair shops and dealerships. Unlike cheap clones, the ELM327 USB scanner has a processor based around the Elm Electronics 2.1 code. It can display a wide range of sensor data including engine RPM, calculated load value, coolant temperature, fuel system status, vehicle speed, short term fuel trim, long term fuel trim, intake manifold pressure, timing advance, intake air temperature, air flow rate, absolute throttle position, oxygen sensor voltages, associated short term fuel trims, fuel system status, fuel pressure and another 4000 to 15000 other values. The ELM327 USB scanner has a baud rate of 9600 or 38400. Its operating voltage is 12V and it includes a feature that protects the device from short circuiting. The nominal idle current of this device is 45Ma. You can order this device and it will shipped to any address, anywhere in the world. 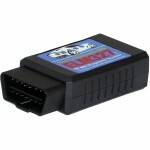 When you order the ELM327 USB car scanner you receive the ELM327 USB scan tool. You do not receive any software when you purchase this scanner. The TOAD software application is the most appropriate software to use with this scanning tool. The device measure 8.8 x 4.6 x 2.5 cm, has a USB cable length of 176.5 cm and weighs 130 grams. This product retails at $68.00 but you can purchase it online for $37 you get a one year’s money back guarantee. 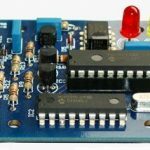 What Is an ELM327 Interface?